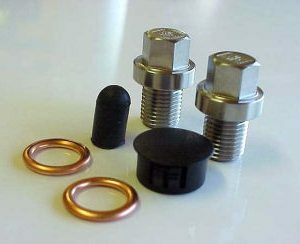 Purchase this product now and earn 86 NewBonneville Bucks! Stop the unwanted entry of flying UFOs from getting into your integral and expensive to fix rad by installing an R&G radiator guard. This protective piece is crafted using pressed aluminum and has a seamless frame. 3D scanning technologies are used to ensure an integrated look and perfect fit. 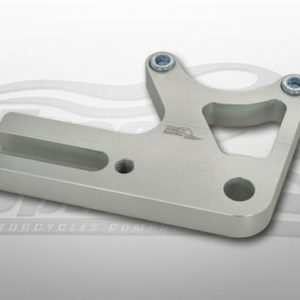 With a powder coated black or titanium finish, this radiator guard is durable, stylish and looks pretty awesome on your motorcycle. Installation of the rad guard is easy; simply use the same mounting points and a few cable ties and you’re ready to get back on the road. 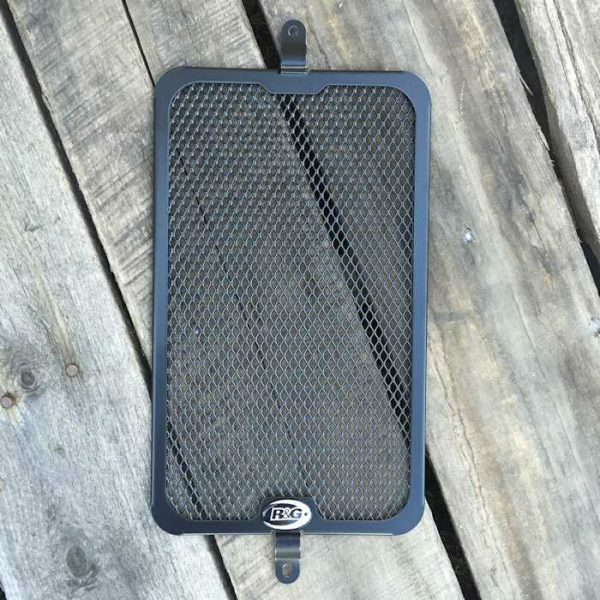 Prepare your motorcycle for its next adventure and have confidence that your rad is protected from bugs, rocks, and dirt with the R&G radiator guard.